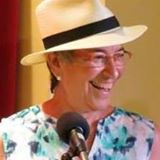 Tobie Hoffman (President) lives in Philadelphia where she is a member of songwriting and song circle groups. She writes songs that touch on relationships with friends and family, news and issues of the day, and the life of her spiritual community. She uses music and dance in her work as an ESL teacher and as a performer with the Philadelphia Area songwriters Alliance (PASA), Headlong Dance Theater, Movement Midrash, Dance Theater Seattle, and Fanchon Shur. As a member of PMN for over 15 years, she is energized by the sharing of inspiring music that can be used for social action. At Gatherings, you can usually see her dancing at the back of the room or during a workshop. 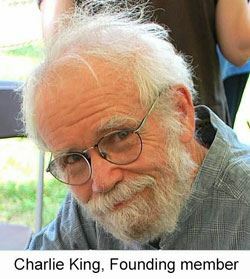 Charlie King (Treasurer) is a musical storyteller and political satirist. He sings and writes passionately about the extraordinary lives of ordinary people. Pete Seeger hailed him as “One of the finest singers and songwriters of our time.” In October 2017 he received the annual Phil Ochs Award, in recognition of his music and activism for social and political justice in the spirit of Phil Ochs. 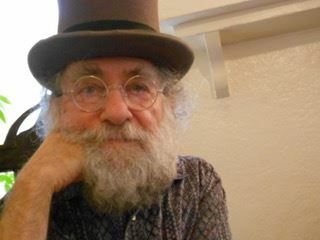 Other honors include: an “Indie” award for one of the top three folk recordings of 1984; the War Resisters League’s 1998 Peacemaker Award given to Charlie and Odetta; the 1999 Sacco-Vanzetti Social Justice Award for which he was nominated by Pete Seeger; and the 2014 Joe Hill Award, a lifetime achievement award for excellence in the field of labor culture. He is a founding member of People’s Music Network for Songs of Freedom & Struggle and of AFM Local 1000. He is also an active member of IWW IU 630. 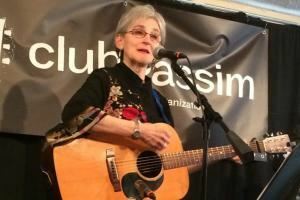 Deborah Silverstein (Secretar) is a singer-songwriter from Cambridge, MA who has been involved with PMN since the 70's. Much of her music is rooted in the mountain melodies of the Southern Alleghenies where she was raised. She was a founding member of the New Harmony Sisterhood Band (1973-1980) whose album "And Ain't I a Woman" is now part of the Smithsonian Folk Life Collection. In addition to her solo singer-songwriter life, she also sang for 20 years with a Boston based women's a capella quartet, Taproot; and is currently part of a gospel influenced Jewish Woman's group, Shirella. She released a new solo album in Spring, 2016, accompanied by her "Band of Erics", "Precious Time." Most recently, she has taken up learning to play the concertina which is a lot more challenging than she anticipated but really fun. Ted Warmbrand has long believed in music’s community building potential. In Tucson, he demonstrates that. He’s presented proven popular progressive artists from everywhere; programmed a weekly topical song hour for KXCI radio; sparked the Tucson Labor Chorus and Muslim/Jewish Band of Cousins; managed tours for Nicaragua’s Guardabarranco; spread no-nukes songs in Japan; documented the Tucson Folksingers-1955-1962; led song circles and workshops; recorded his own songs, been anthologized by others, won a couple of song-making awards, earned ”Best Local Eccentric” title – all the while remaining on call to sing at local organizing events. Since 1977, he's attended PMN Gatherings for inspiration and to sing. 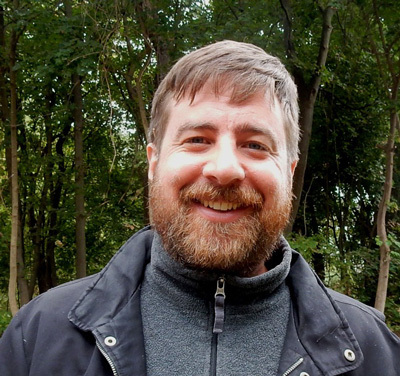 Ben Grosscup has been serving as Executive Director of PMN since 2013. He is involved in organizing PMN’s regional gatherings, program development, outreach, fundraising, and membership development. Ben first came to PMN as a college student in 2005, finding it to be a supportive community for developing his own craft as an activist folksinger. At rallies, picket lines, conferences, and house concerts, he uses the power of song to amplify and accentuate the ideas and values of the transformative social movements he’s part of. Today, he seeks to build People’s Music Network by engaging an ever broader and more diverse membership.